If you thought that lice were the questionable privilege of young children and pets alone, you may want to stick your head into a salmon breeding facility—even safely so, as sea lice feed uniquely on fish. Natural parasites of salmon and trout, the salmon louse (or Lepeophtheirus salmonis, if you’re so inclined) attach to these fish feeding off their tissue, blood and protective mucus. The louse is relatively harmless to fish that are free to roam the waters freely, at worst injuring and irritating its host. However, as is so often the case in monoculture farming, large and concentrated populations of captive fish are a feast for these icky pests. Larger clusters of them can gravely maim and even kill fish, making them unsuitable for human consumption and threatening a multi-billion-dollar industry. Scotland and Norway, two important salmon-producing countries have been hit especially hard, and lox lovers have undoubtedly felt it in their wallets. If the salmon price was still vacillating between 30–50 Norwegian kronor ($3.5–$5.9) per kilogram in 2014 and 2015, it climbed significantly higher in 2016, breaking the 80 kronor ($9.40) barrier twice. Treatments involving medicine and chemicals have been met with varying degrees of opposition due to threats to food safety and the environment. Now coming to the rescue of a home-grown industry is Esben Beck of Oslo, Norway-based Beck Engineering. 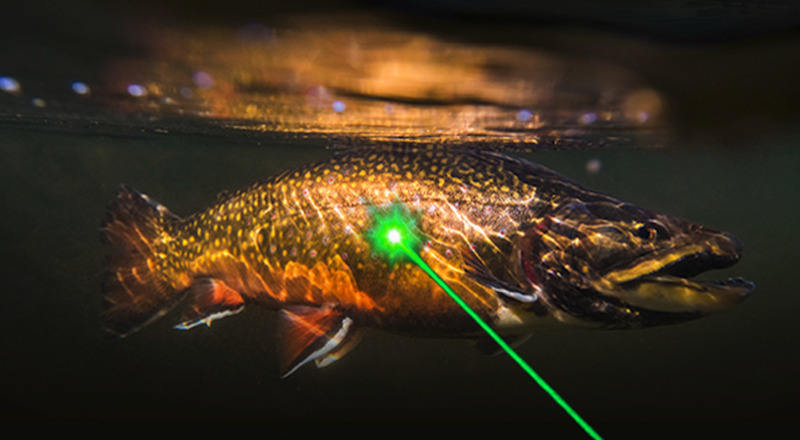 A designer and an engineer, Mr. Beck thought up a method to fight the salmon louse using machine vision and lasers, and spun off a company to produce and market it. The result is the Stingray Node, an independent drone controlled by software and a camera that shoots down salmon lice without injuring the host. Despite all the high-tech apparatus, deploying the Stingray is surprisingly simple. The device, which looks a lot like an oversized boxing bag, is first lowered into a breeding pen. 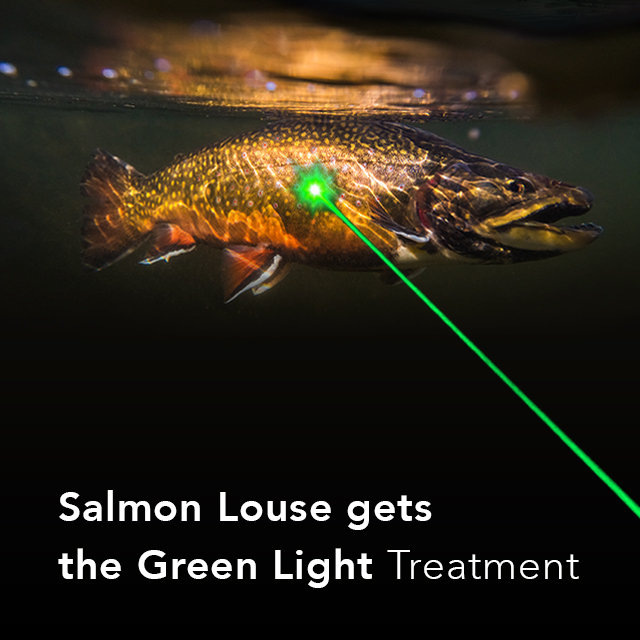 A set of cameras and image recognition software identify lice on passing salmon in much the same fashion a mobile phone detects your face (no insult intended). When the software gets a positive match, it triggers the laser unit which fires a green light beam, frying the louse and sending it into the depths (and lighting up the pen with an eerie green for good measure). “Initially I was met with a lot of laughter as many in the industry believed that it could not be done,” Mr Beck said in a radio interview. “However, I have now proven that it is possible and in all our tests we have not injured a single fish!” Stingray now boasts over 100 operational units in salmon breeding farms in Norway and Scotland, although many stakeholders including environmental organizations are still a bit skeptical. The World Wildlife Fund (WWF), for instance, thinks laser technology is a bit overkill to solve a problem which is inherent to large-scale monoculture farming. Despite these concerns, world appetite for salmon is as unlikely to abate as louse-shooting punching bags are likely to stay.